NERDprov will once again be performing at Emerald City Comicon, on Saturday, March 29th at 8 PM in Hall A. We are super-excited to be back for the sixth year in a row, bringing you the nerdiest entertainment we can make up on the spot! Come with your nerdy ideas and props for us to play with! We hope to see you there! We didn’t know what to expect when we took the stage yesterday for our first of NERDprov’s two Bumbershoot 2013 performances. Would we see the same sort of audiences as last year? What we encountered was another fantastic, beyond sold-out crowd that helped us deliver one of our favorite NERDprov performances to date! The folks who joined us yesterday were the first to witness two new NERDprov games we played for the very first time: “My Little Pony Saves the Universe” and “8-Bit Campfire”. If you want to know more, you’ll have to come see us in action! Special shout-outs to Paris, our Action Figures volunteer who helped us tell the story of a princess who ends up saving herself when the space capsule they’re escaping in is beset by monsters. And another thank-you to Samir, who shared the story of his recent unfortunate date and allowed us to retell it as a Dungeons and Dragons adventure in our signature game, “D20 Date”. Good news, everyone! If you missed our Saturday performance, you’re not out of luck – NERDprov returns to the Bumbershoot stage on Monday at 5:30 (Center Theater in the Armory.) But we expect another full house, so get there early to guarantee yourself a seat! And if you can’t quite afford the time or money for Bumbershoot this year, consider joining us for our upcoming doubleheader with Where No Man Has Gone Before at the Jewel Box on September 8th! Tickets are only $16 in advance, and since we’ve sold this venue out before you’ll want to get them in advance. 😉 Click here for more information and tickets. The NERDprov gang is very excited to be returning for our second Bumbershoot in a row! Last year’s experience was fantastic, with a packed standing-room-only crowd and four rows of people sitting on the floor. And every one a fellow nerd! Thanks to last year’s turnout, we’re performing twice this year – once on Saturday and once on Monday. Just like last year, you can catch us in the Center Theatre in the Armory – but make sure you get there early – last year we ran out of room and had to turn people away! Both shows are included with your standard admission to Bumbershoot on the day(s) your tickets are valid. No ticket? Easy! Click here for Bumbershoot ticket orders. You might have seen us on Q13 Fox News This Morning back on Friday August 16 – we did a quick live segment to help promote the awesome theatre lineup at Bumbershoot. So – are you coming? What other acts at Bumbershoot are you excited about? How do you feel about the new Doctor? Let us know! I Was On A Boat! Greetings NERDprov.com readers! “Geek of all Trades” Michael Robles here, and I want to share with you some experiences I had while playing different games on my vacation. Last week, I was very fortunate enough to be a part of “Magic Cruise 4” (or MC4 for short). About 150 people from all walks of life got together on a Royal Caribbean boat for one week to celebrate one thing, Magic: The Gathering. I was asked to go on the MC4 by Tifa Meyen; the creator of The Lady Planeswalkers Society, Assistant Brand Manager for Magic: The Gathering, and my girlfriend 🙂 . We weren’t there on any sort of official capacity, we were just there to play Magic, and be on a cruise. Let me tell you, it was nothing short of awesome. While I won’t bore you with all the details of the cruise, I will tell you that I played a lot of Magic, as well as a lot of other games. It’s these other games that I want to talk to you about and how, as an improviser, I was able to appreciate these games on a much higher level. 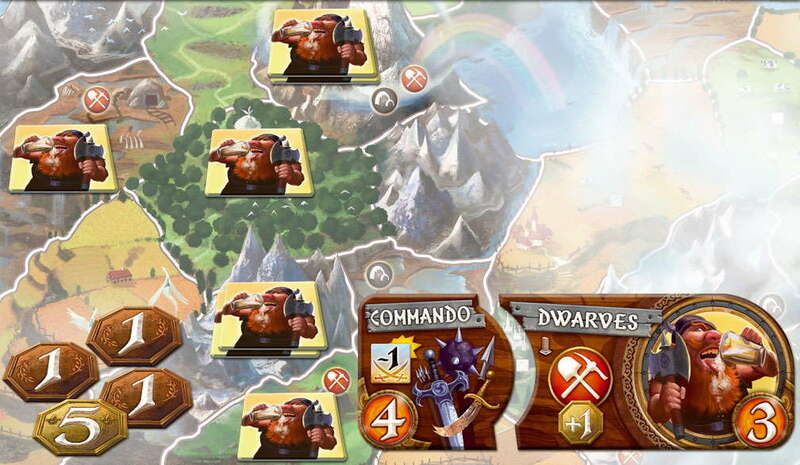 Small World is a game about conquering regions, like Risk, but without the use of die rolls to determine pass or fail. You choose a race, and a special power and begin conquering. Imagine Commando Dwarves, or Flying Sorcerers. (There’s a lot more involved and I don’t want to spend all post getting into rules about every game.) What I thought was interesting about this game was the mixing and matching of races and powers. I found myself speaking in character as I took on different races and began to develop stories. I was a Diplomatic Elf who just wanted “to get along with everyone.” When I would get conquered, I would make a joke about the elves never meaning any harm. When I would eliminate a member of a Lost Tribe I would apologize (in my spectacular Elf voice) for wiping them out of existence. It was the first time many of us had played the game and Tifa was the ring leader who kept us on track, when I wasn’t making her laugh with my different accents for the different races. I found that adding this little bit of storytelling to this game of strategy made the game much more enjoyable. Don’t get me wrong, the game is amazing even without the goofing around, I just like trying to add a story where I can. Dubbed “A party game for horrible people” Cards Against Humanity (site might be NSFW) doesn’t disappoint. You can get anywhere from 7-20+ people playing, and even then you still having people asking if they can join in. For me, the best (and worst) part of this game is some of the imagery that comes from the cards. What would it look like if the TSA prohibited RoboCop on airplanes? Why is there a ton of Ryan Gosling riding on a white horse in Heaven? The other appeal comes from the players that try and argue for their choices, or the choices they favor by adding things as back stories and explanations as to why certain cards are paired up. People will create the most outlandish stories to try and convince the judge to pick the card they wanted. If that wasn’t enough, there’s a card that says “A home video of Oprah sobbing into a Lean Cuisine” and the image I get in my head every time that card is played makes me laugh every time. The worse you are in life, the better your afterlife will be. That is the “long story short” breakdown of what Gloom is. At its core, Gloom is a storytelling game. You take control of a family and try to make horrible things happen to them to lower their self worth… then, you kill them. One of the stops on the cruise was in Victoria, B.C. and we met up with our friends at Loading Ready Run for a meetup/gaming session. When Jer brought out the games he brought with him, I saw Gloom and remembered playing it a few years ago. I talked about how awesome it was and he quickly gave us a run down and asked us if we wanted to play. As I mentioned before, this game is all about storytelling. Sure, you can be like, “Here’s my family,” but Jer had us do it differently. Once we all chose our family members he had us introduce each member of the family and give a little back story. Before the first turn, we all had connections to our family and it made me super interested in what was going to happen to everyone’s families. We were taking turns playing cards on our own family members as well as the family members of other players, and we’d bring up bits of information that we gathered from the introductions. Eventually, all of our families had some connection to each other and I honestly believe that it was thanks to Jer pushing us to give introductions and back stories. This was just a small sample of games I played on my cruise that improv helped make a much better experience. There are plenty of other games (mostly RPGS) that rely heavily on improve and I’ll be sure to talk about those at another time. Have you played any games that improv has helped make better? Are there games that just naturally rely on improv? 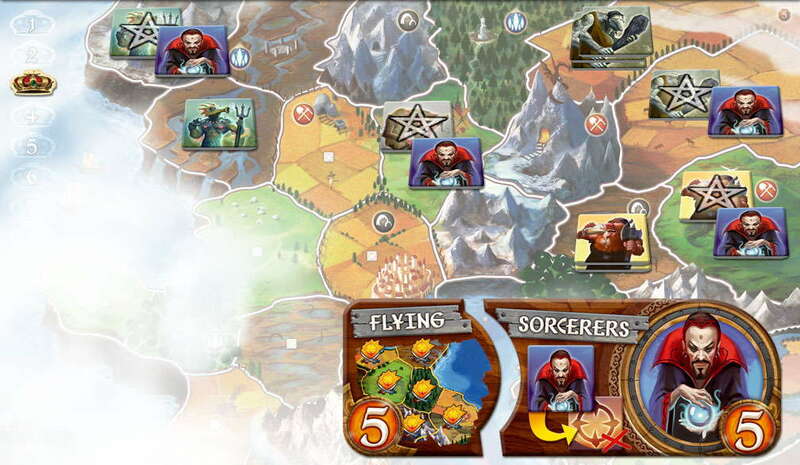 Let me know in the comments below what some of your favorite games are, or if there are any other board/card games that utilize improv. See you next time! Not enough NERDprov? We are available for conventions, corporate events, private parties and theatrical performances! Contact us at info@nerdprov.com to inquire about rates! Costumed Photography by the excellent Rasmus Rasmussen!